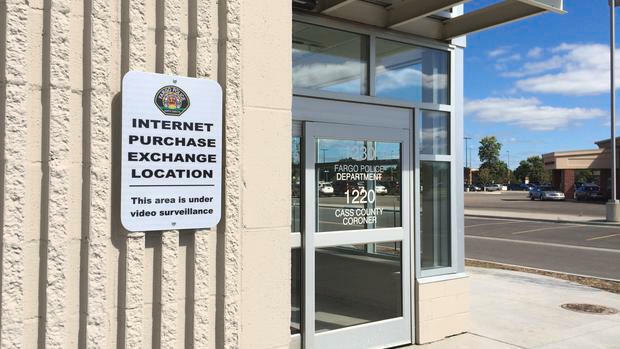 The Fargo Police Department recognizes the rise of sales and trading through online sites such as Craigslist and Facebook and wants to provide our residents a safe environment for these transactions to take place. The Fargo Police Department Safe Exchange site is located on the west side of our substation, 1230 25 St. S. The placement of this site is underneath 24 hour surveillance cameras and is visible to a highly trafficked roadway. This location is also where officers come and go throughout various hours of the day. This exchange spot is available to use for meeting and arranging exchanges and trades for these types of transactions. There is a sign posted on the side of the building where we suggest the transaction occur. Officers will NOT be assisting in the transaction or keeping a log of them.